What is a cycle computer? In 1895, a device called a Cyclometer was invented. It counted how many times the wheels of a bicycle turned and converted it into the number of miles traveled. The popularity of the Cyclometer meant it wasn’t long before there were plenty of rival devices on the market. Mechanical gadgets of this nature persisted through the years, until the modern descendant of the Cyclometer, the cycle computer, first appeared in 1985. 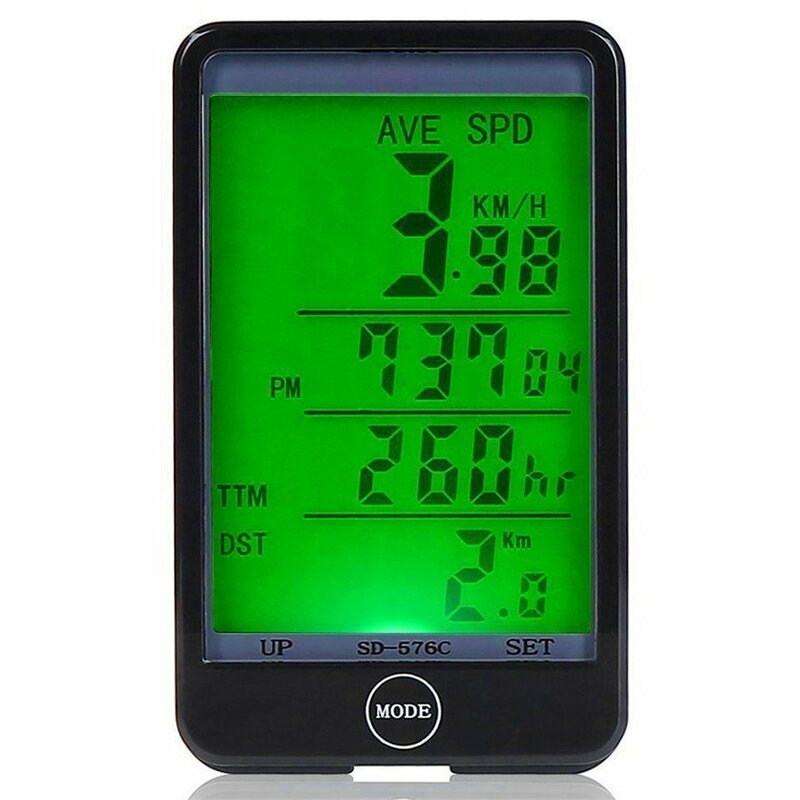 The original model, manufactured by Avocet, began a long line of electronic cycle computers, sometimes called odometers, with some of the current models providing a surprising set of features. The best cycle computers are still as easy to use as those early models. Whether you cycle for fun, fitness or just use your bike for transport, you could benefit from a cycle computer. Although specific details vary from one model to the next, you can generally expect them to display at the very least your speed and distance traveled. Most have a number of other things as well, including averages and maximums per trip. In the higher end models, you can expect measurements of data such as heart rate, information about the terrain you’re cycling on, pedaling cadence and GPS ability. If you cycle primarily for exercise, knowing your speed and how far you’ve gone gives you something to work towards. There’s nothing like beating your personal best to make you feel great and give you extra encouragement. Even among those who use their bikes mainly for leisure, cycle computers are popular because they can give you information that makes bike rides more interesting. If you like venturing out into the countryside, GPS navigation can be incredibly useful. What makes a good cycle computer? With cycle computers varying so much across brands and between models, it’s important to be aware of different features and things to consider in order to make an informed decision as to what’s the best cycle computer for you. Screen size varies quite significantly, as does the size of the on-screen information. Think about how easily you’ll be able to read the screen while riding. Some screens are back-lit, others are not. If you cycle at night, you’ll want a back-lit screen for it to be any use in the dark. There are a wide range of prices. While at the lower end you can get a useful gadget for a reasonable cost, it’s well worth considering the higher end models if you’re a serious cyclist or fitness enthusiast. The extra functionality you get for your money is extremely useful. Cadence is a mark of how hard and fast you pedal, and cycle computers vary in whether or not they can measure it. It can be an important factor to help you fine-tune your workout to get the results you want, so decide whether it will be useful to you. Mostly known for their expertise in GPS-related technologies, the Swiss company also manufactures high-end cycle computers. 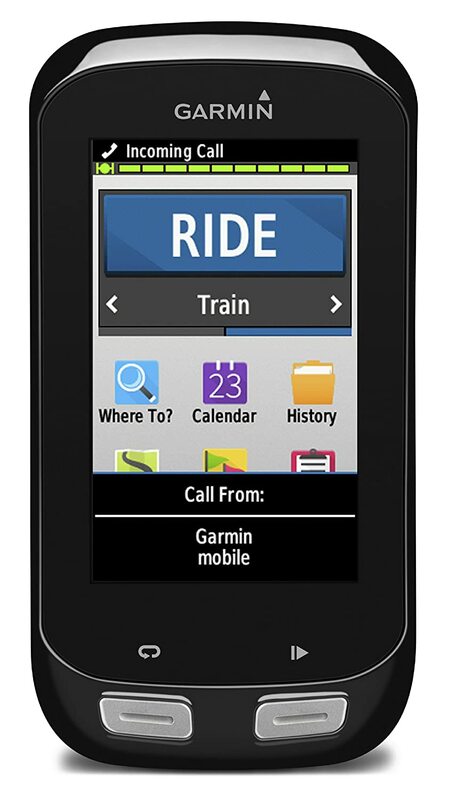 Garmin’s models suit those looking for a wealth of features in a high quality package. This includes GPS capability as well as smartphone integration and internet-related features through their Garmin Connect platform. This Japanese company has been making cycle computers for more than 30 years, and also manufactures a range of other bike accessories. In the 1960s, they were responsible for the first flashing bicycle light. Responsible not just for cycle computers, but also other bike accessories and consumer electronics. Their products sit at the lower end of the price spectrum, and offer great value for money. Manufacturers of electronics, bike accessories and automotive tools, Linkpower’s cycle computers combine low price points with useful features and high quality. On top of cycle computers, Suaoki manufactures various automotive devices, portable lights and other handy gadgets. They strive to make affordable, high quality, eco-friendly products. See the below reviews for what we consider to be the top bike computers available in the UK – we save the best until last! The good: Includes a cadence sensor at an amazingly low price. The bad: Perhaps a bit basic, and the screen is sometimes affected by glare. No backlight. Overall: If you want to give cadence a try for cheap, this is your best bet. The cheapest of the bunch, but not lacking in features for its low price. On top of the standard speed and distance readings, it features a cadence sensor and other bonuses like a stopwatch and calorie counter for a total of 22 functions. It also has an auto on/off function to save power, which is useful as it takes disposable batteries. The unit is compact, and while the screen may occasionally suffer from glare, is large enough to be read clearly while riding. Set-up is simple, and the device gives accurate readings. This is a really versatile and reliable model that offers a lot for the price. With the inclusion of a cadence function a serious plus if you’re into fitness, an unusual addition in a budget model. The good: Big, backlit screen is easy to read at any time of day. The bad: Setting it up can be a bit of a pain. Overall: Great for those who don’t want to spend out too much, but need a clear screen for night use and dull weather. At a fraction more expensive than the Suaoki model, this computer has a few important differences that may influence your decision. It features a larger screen, which is also backlit for easier use at night or in bad weather. The backlight has several different operating modes so it can be tailored to suit your needs, and for the most efficient power consumption. Setup can be a little tricky with this one, but once it’s installed it’s easy to operate. Like the Suaoki, this has a number of useful features, whch include a temperature display. However, the Linkpower doesn’t have a cadence sensor, but trading this in for the bright backlight may be a good call depending on your personal needs. The good: Compact, but without losing out on clarity, with a decent screen and bright backlight. The bad: Small buttons that aren’t really suited to using on the road. Rather basic in terms of features. Overall: Its lack of features might not be a bad thing if you’re after something relatively uncomplicated. It is straightforward to get it set up. A small, neat cycle computer that doesn’t sacrifice readability to keep its compactness. The on-screen digits are nice and clear, and it has a bright green backlight for evening riding or cloudy days. However, the buttons are a little small and might be difficult to operate when riding. The device is easy to fit, and should be up and running in no time. It is a little light on features compared to some of the other models. However, if you’re after a simple, unobtrusive gadget to measure speed, distance and a few other basics, this could be just the ticket. The good: Large, clear display; ClickTec interface for easy switching while riding; good quality. The bad: Lacks some of the features of similar models. Overall: A good choice if you want to be able to easily switch between displays while riding, and its good quality construction should last for years. This sleek cycle computer has a large display and digits, making it easy to read at a glance. It features a unique ClickTec interface for easy switching between its seven operating modes, simply by pressing the bottom of the face. 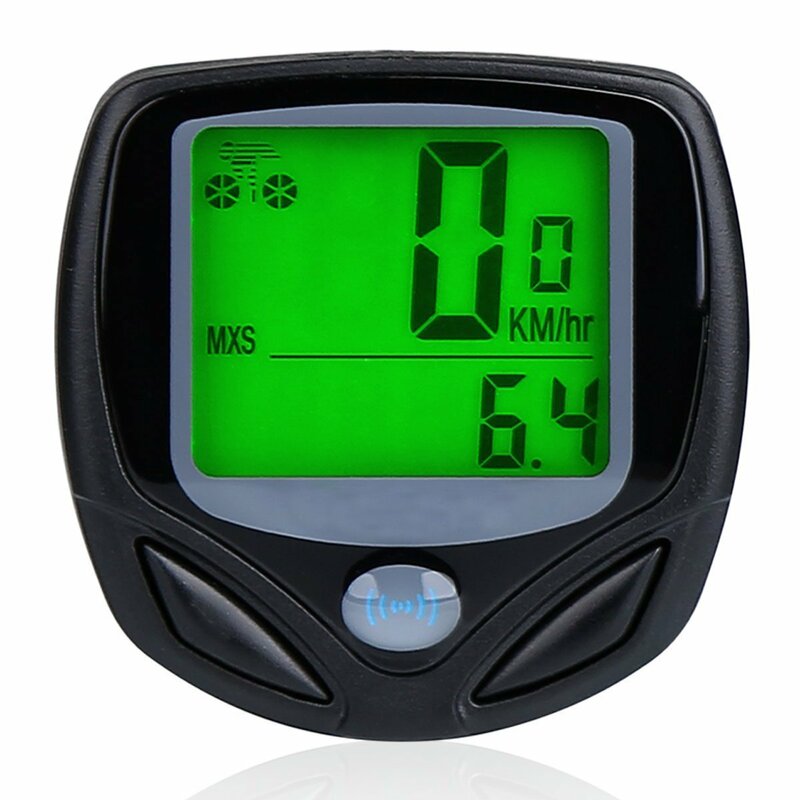 It displays your current speed clearly, with an arrow indicating how it compares to your average. Although it doesn’t have as many features as some of its similarly-priced models, it can’t be beaten for build quality relative to cost, and is easy to install and operate. A solid and long-lasting choice for serious use, that won’t let you down. The good: A low price for the reassurance of a Garmin product, and a massive leap up in terms of features; GPS opens up many new possibilities. The bad: Prone to crashing at times, and is a big financial investment compared to other models. 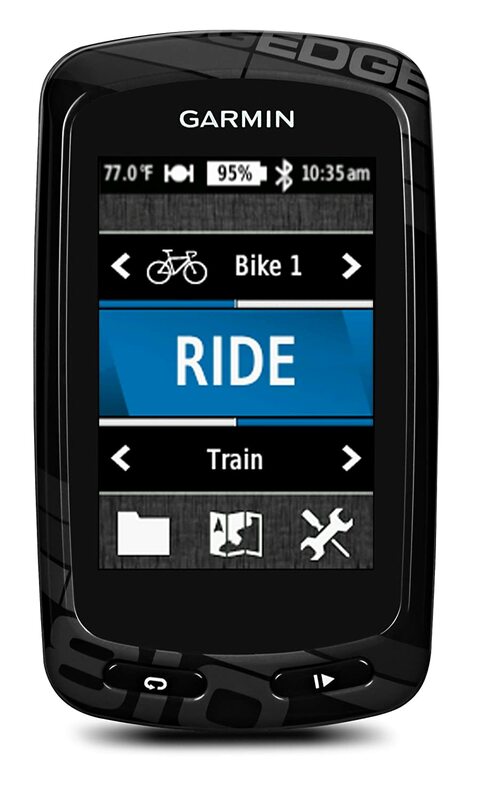 Overall: If you’re serious about cycling and want access to GPS functionality, this is a solid entry point. The first of two Garmin models in this list, the Edge 810 is the lower priced of the pair, but still quite a jump up from the other brands. For your money, one of the most obvious benefits is the addition of GPS functionality and a barometric altimeter. 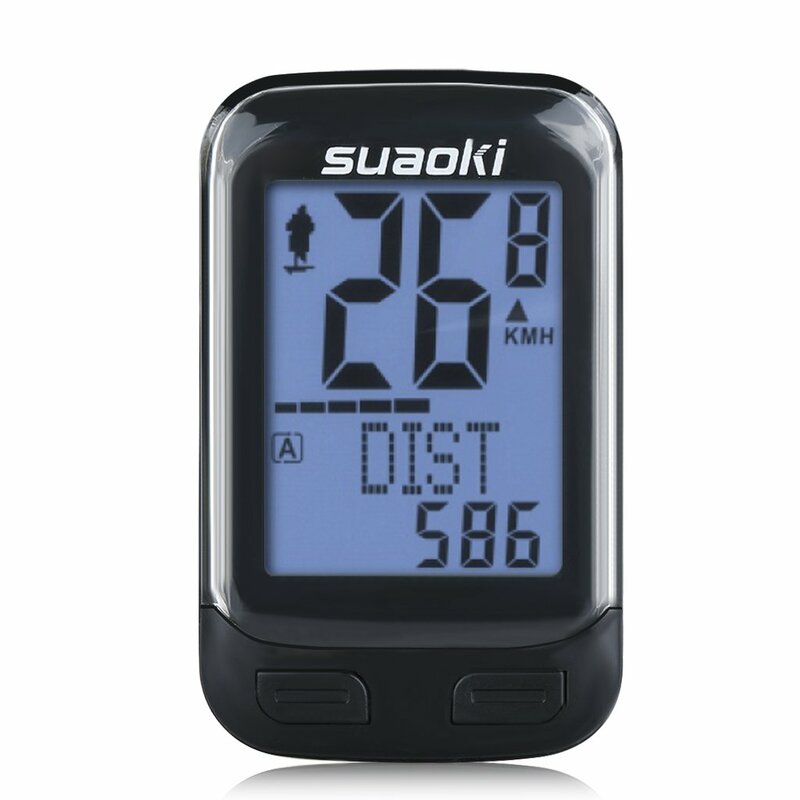 With this comes a range of new data readings, such as location, elevation and ascent and descent information, giving it some major advantages over cheaper models. However, it doesn’t include maps as standard. The touchscreen makes operation on the road a breeze, and needless to say it is large, bright and clear. The touch operation also works well even in the rain, or when wearing gloves. If you’re serious about training, the Virtual Partner feature will give you something to compete against, as will a host of other features to get you motivated, including courses and workouts. The Edge 810 doesn’t come with a cadence monitor as standard, which is disappointing for the high price. However, it is available as an optional upgrade, as is a heart monitor. This bike computer also offers connectivity to your smartphone for even more useful features. You can share data over social media, and get up-to-date weather information. In relation to the lower priced cycle computers available, the Edge 810’s features speak for themselves. If they’re likely to be useful to you it’s well worth spending the extra cash. The one downside is that it’s sometimes prone to crashes. However, the device is being actively supported by Garmin through firmware updates so the bugs are gradually being ironed out. The good: Everything offered by the 810, plus cadence and heart rate monitors, and built-in maps. The bad: Top price, which might make you nervous to actually use it or unsure about forking out to begin with. Overall: If you’re looking at top of the range cycle computers, the extra features this has over the 810 compared to the extra cost mean it is well worth spending the additional cash. A step up from the 810, the Edge 1000 has an extended bundle of features. With a larger version of the touchscreen, the 1000 will give you clear readings in any weather thanks to a light sensor that lets the device automatically adjust brightness for optimal clarity. For navigation, the 1000 comes pre-loaded with maps for 34 European countries. It is complete with data such as roads and cycle paths, points of interest, and an address search function. Map updates are free, so you can always stay up to date. Routes can be pre-planned on-screen so you can easily find your way. The device can even calculate cycle-friendly round trips for you based on the distance you want to ride. This is a great feature if you want to try some new routes and explore more. 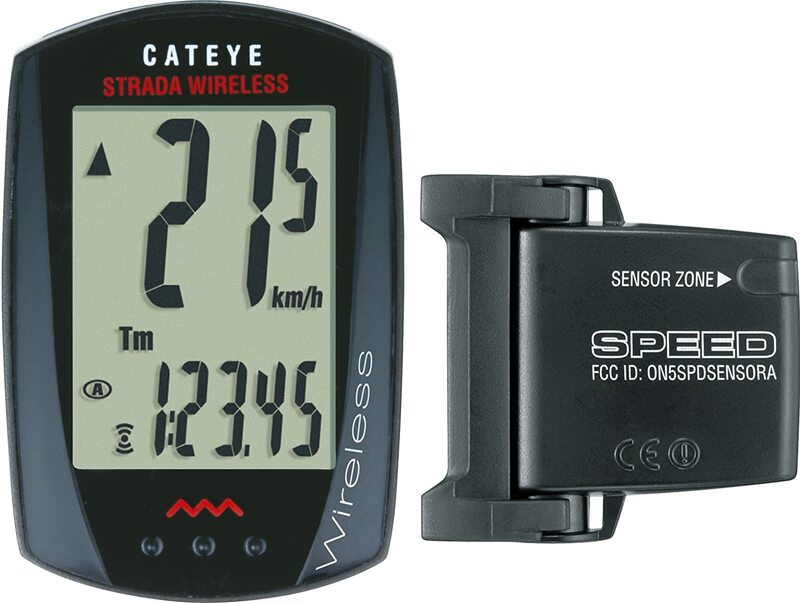 Packed with features, this is the best wireless cycle computer with cadence that I have tried. The Edge 1000 also includes a heart rate monitor. On top of that, it is the first Garmin cycle computer to integrate with Shimano Di2 systems to show your current gear on the screen. This provides even more data to take into account and for more possibilities for calculating workout effectiveness. For the extra money, the benefits of the Edge 1000 over the 810 are plain to see. The inclusion of maps alone is worth the cost, let alone cadence and heart monitors. If you’re going to spend the money on a cycle computer at the top of the price range, the Edge 1000 deserves serious consideration. When buying a cycle computer, it’s important to decide which features are important to you, and how that is likely to change in the future. If you’re attracted to the extra possibilities offered by the two Garmin models, they are worth investing in. If you’re lacking motivation, they are sure to give you a push to get out on your bike more. But the models at the lower end of the price spectrum are worth bearing in mind as they can offer a lot for your money. If you’re unsure whether cadence measurements will be useful to you, the Suaoki computer lets you experiment without having to spend very much. However much you choose to spend, installing a cycle computer is certain to be a great decision. It will help you get a lot more out of cycling, whatever your goals.